I am no longer on G+ ~ Commenting process should is fixed. So far so good. This is my second try to comment. The first time I could not get in but you may have been working on your comment section. You have such a wide range of talents. Each piece spoke to me in a different way this week. Thank you! I love your lone flower painting - so pretty. Great photos as well. You have drawn a beautiful flower. Yes! This is a much better way of commenting...and I am enchanted by your door/window mosaic. Lovely! Your flower is lovely, I had problems with coments too and got off g+ too, this is much better, technology! As creative as ever. I like the window shots and the way you found the colours. 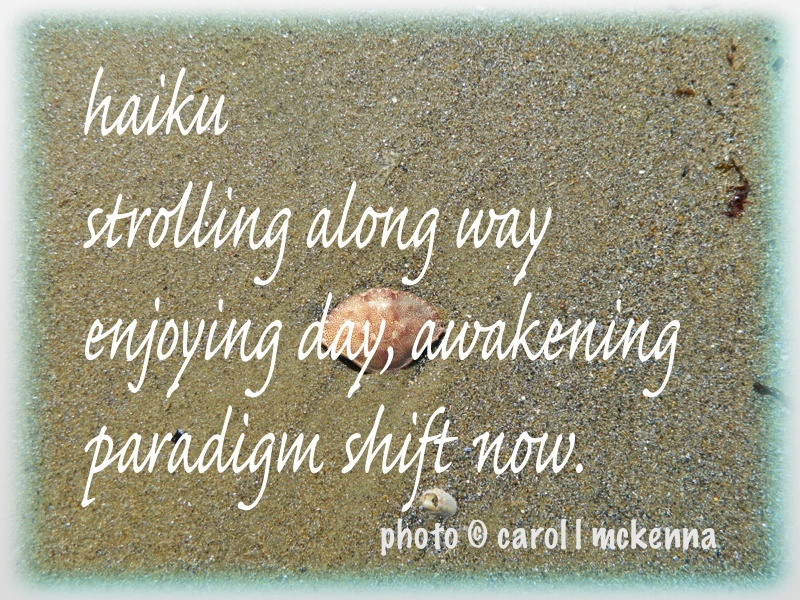 Lovely Haiku and collage, thank you for visiting pret-a-vivre.com Carol. Lovely painting and photos! Happy SS. Google + is confusing for those that aren't on it! Thank you for coming on my 'MagaZin'. sweet flower painting and I like all the windows you captured in photo. Lovely pictures. I am not happy about the G+ thing as there are now blogs I can't comment on because of the G+. Glad I can comment here though. I love the tangled shot and the photos of the doors and windows. In answer to your question, I guess I never signed up for the Google + commenting. Great pictures, and love the painting too. Happy SS! Hi Carol, I am SO glad you got rid of G+ commenting. I visit your blog (from Pixel Posts and Something Written) every time you post and I couldn't comment. Youe sunflower is lovely, and I really like the mosaic! Your haiku is intriguing and I like the collage of doors. So glad to be able to comment again. I love the lone flower sketch. And you do the best combo posts ever! Wow you certainly nailed - mosaic and tangled! I just love the way everything here is upbeat! What a wonderful variety of photos! I would love to join in Postcards from paradise! I'll go check it out! Hugs! Hi Carol, Love everything about this post! “Awakening”, great flower sketch and seagull snap. 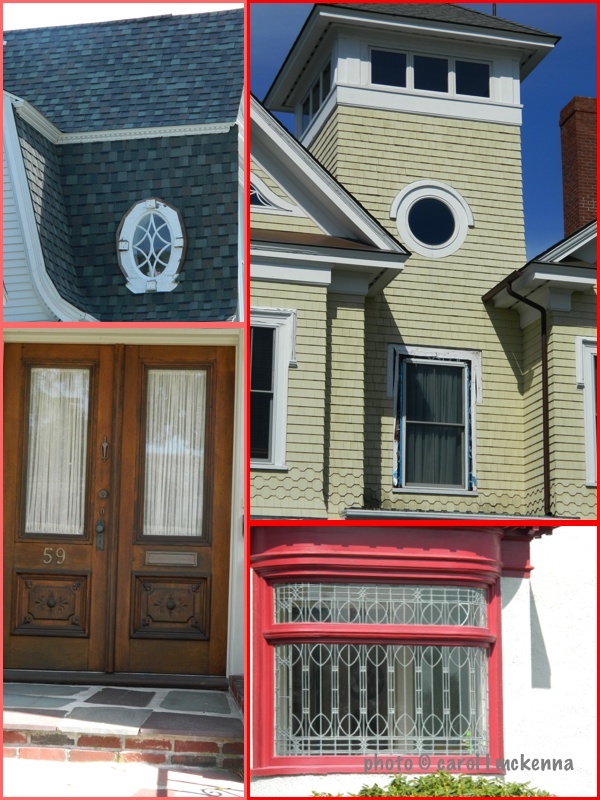 While traveling I always photograph doors and sometimes windows. Love the blue sky in the tangles photos. The quote is awesome! I like the tranquility of your photos. I came back to say hello to the graceful sunflower! Yes! This is so much better! Lovely photos and thoughtful post, as always! The windows and doors mosaic is lovely! I especially like your mosaic. I am always taken by windows and doors and you have photographed some interesting ones! Glad this commenting thing is working for you; not for others! Thanks for dropping by, dear. 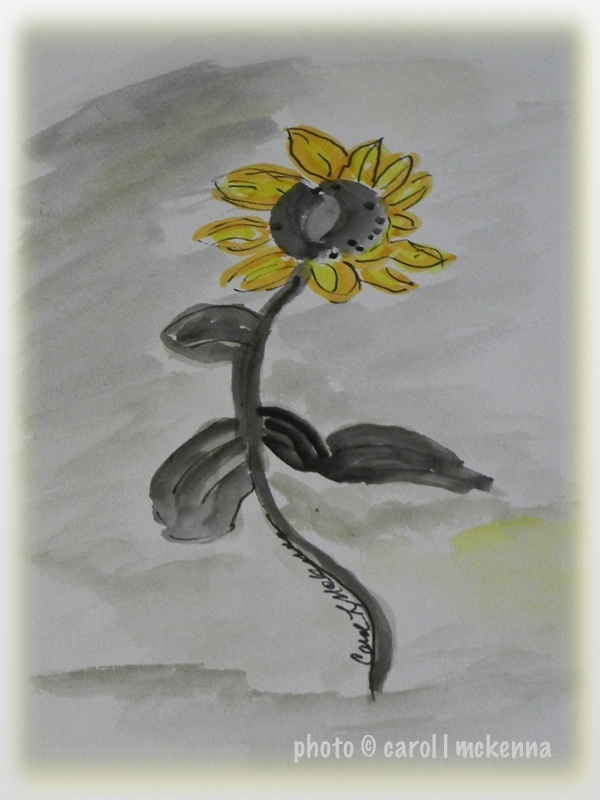 Your sunflower painting is cute my friend...would look lovely on a kitchen wall...just brightening everyones day. 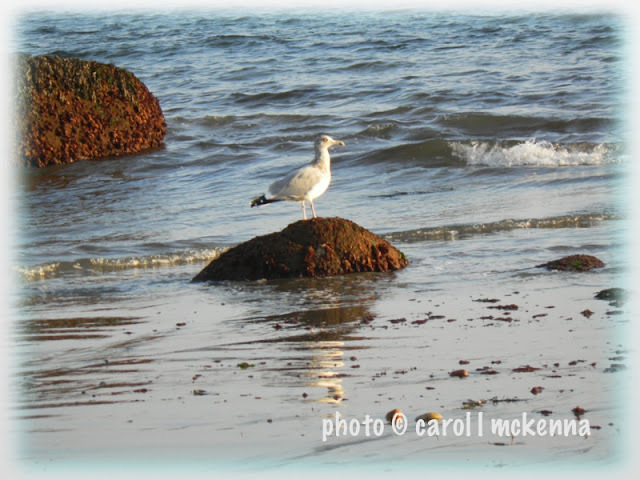 Love the seagull pic and "Tangled." That must be Charlie Brown's kite-eating tree!! Your flower painting is lovely, and I love Cape Ann. It's about an hour from me, and I also love Manchester by the Sea. Your photographs are wonderful, makes me want to take a dry to the seaside. What a beautiful water colour painting of the flower - so delicate and pretty. Thanks so much for visiting my blog - hope you have a great week. Hi Carol! Love to see the pictures from the other coast :) have a great week! Uh-oh! 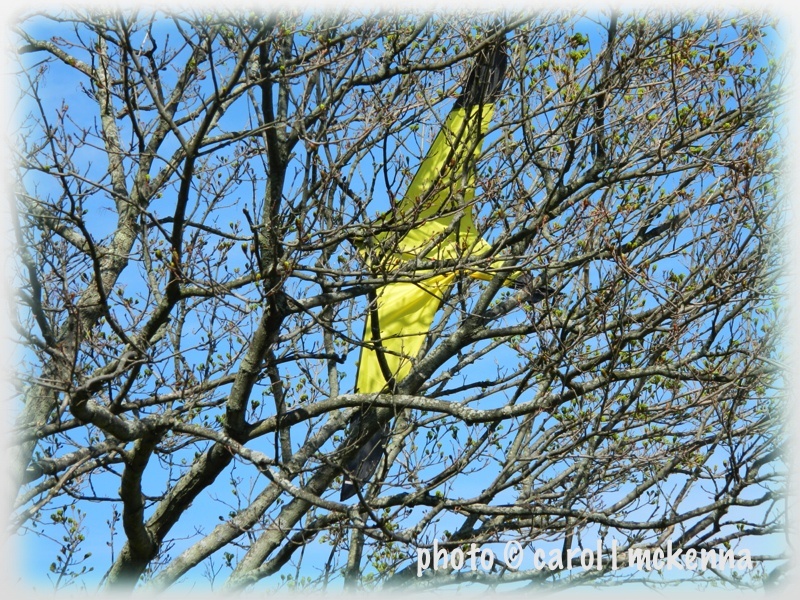 I bet someone was unhappy when the kite got tangled! Lovely pics. I played too. Mine are here and here. What a great mosaic. Have a Nice week. Love your beautiful painting,pics & verses! All so creative! What a lovely sunflower drawing! Those windows are so romantic. Your haiku is very nice. I'd love to stroll through the community which is home to all this great architecture. Such fine detail and uniqueness (is that a word?). thank you for your beauty and friendship. so glad we comment again! Wonderful set of images. I love that sketch. Thank you for this quote! I 'll make it the quote of the day! what happened to that dragon? Sitting in a tree. Beautiful sunflower, Carole! The gull photo is perfect for a postcard. Love the pretty blue sky and quote! Have a happy Sunday and week ahead.